Dock Lights have become extremely versatile, making them comptabile with a multitude of applications ranging from Dock Areas, Work Stations, Machine Centers, shops, and service facilities. Time tested and industry approved our range of dock light fixtures are sure to have a combination perfect to suit your needs. The outer arm is equipped with an electrical outlet embedded in the arm. 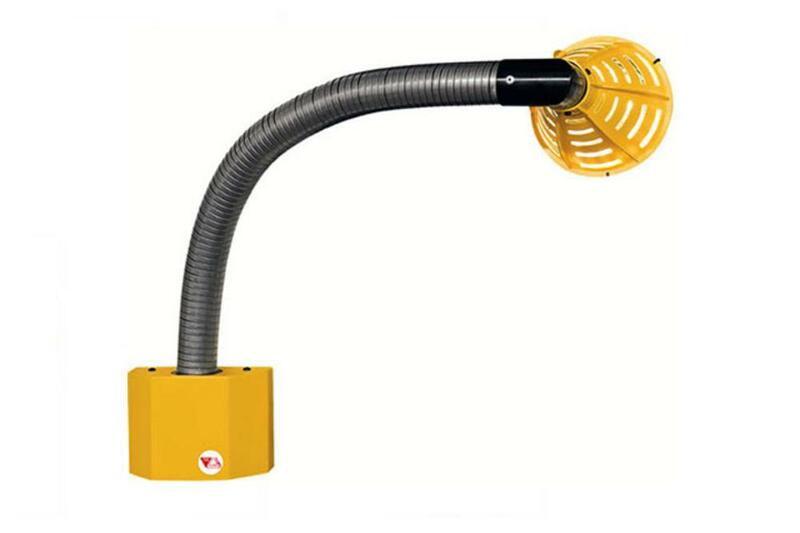 The light head is attached to the end of the arm and plugged directly into the arm outlet. This simplifies replacing the light head, while also keeping the light cord away from the working space. Pick and choose from one of four unique Trilite model lights heads to find the perfect fit for your application. 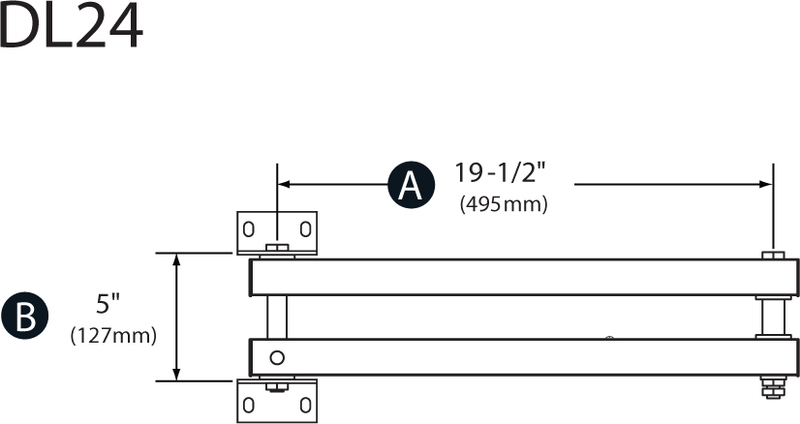 The DSDL series dock lights come with a standard dual strut to single strut configuration connected via a knuckle joint. This allows for both horizontal and vertical movement of the light head for ideal positioning. Not recommended for use with fans. At 24", the DL24 is our shortest light arm configuration. It's dual strut design means it will hold both a fan and light head with no problem, while offering 300° of motion for the light head. The SDL series dock light utilizes two single strut sections connected via an adjustable knuckle allowing for horizontal and vertical positioning of the light head. Not recomended for use with fans or heavy light heads. The DL series dock lights come with a standard dual strut to single strut configuration limited to a horizontal plane of movement. It's Basic design allows for the use of fans and light heads on the same arm, while also offering 300° of motion for the light head. Recommended for applications requiring fans or heavy duty light heads. The FLDL series dock lights come with a standard dual strut to single strut configuration limiting the range of motion to a horizontal plane of movement. Unlike the standard DL series the FLDL adds a flexible section on the forward arm absorbing shock from forklift impacts. Ideal for high traffic loading docks. Need additional reach? Loading Dock Supply offers specialty dock light arms configured in three sections to reach lengths 90" and 114" long. Triple strut designs are not intended for use with fans. Dock Lights are RoHS Compliant, UL & cUL listed meeting all NEC and OSHA general safety requirements.